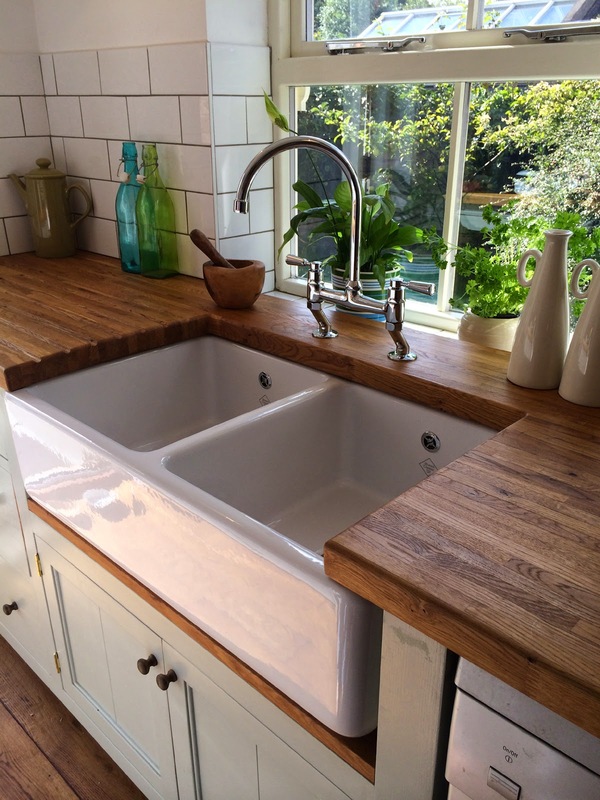 With the total refurbishment of this country cottage kitchen it was a golden opportunity to bring back some of the original characteristics like the heavyweight, Classic Double Bowl sink with a central dividing wall. The sink is available in both white and biscuit finishes and each bowl has central 3½” waste outlets for basket strainer or waste disposer plus round overflows. With plenty of space in the new kitchen, the largest size of sink was installed under the window – the sink is available in two sizes, 800 and 1000. It is recommended that bespoke cabinetry is installed professionally to take the weight of any Shaws sink. The Classic Double Bowl is the perfect choice for a busy kitchen or for those looking for a multi-purpose sink, especially in new build or refurbishment projects. Shaws sinks have a long lasting, durable glaze which will last for years. Visit www.shawsofdarwen.com to see the full range of sinks, complementary taps and accessories.